Sony has announced that the PSN will undergo a planned maintenance update on Monday, but users who've logged online recently will be able to play online. Sony has announced over on the PlayStation forums that the PlayStation Network will undergo maintenance on Monday, January 27 from 9:30 a.m. to 3:30 p.m. PT (12:30 p.m. to 6:30 p.m. ET) for a total of six hours. While users won't be able to access the PlayStation Store, PlayStation Home and their Account Management settings, people who've logged in to PSN at any time since January 20 should be able to play games online and access partner apps like Netflix during the maintenance period. PlayStation Senior Community Manager Paul Sullivan who posted the message under his forum username "Tempest_Fire" also states, "We thank you for your patience and support and apologize for any inconvenience this may cause. 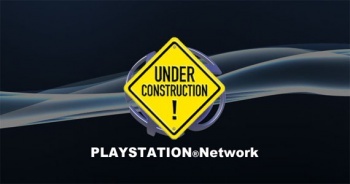 In order to access online game play and partner apps during this routine maintenance, we ask that you please sign in to PlayStation Network prior to Monday, January 27th." So, for those planning to play online multiplayer on the PSN this coming Monday, just log in today to avoid any network interruption. Given some people might find this downtime a hassle especially since we now pay for online multiplayer on the PS4, but I'd rather we have a planned maintenance period than have issues logging in to the network just like what happened late last year.